Evening meeting organised by Toastmasters International in co-operation with Ideon Meeting and Ideon Innovation. Communication is a critical skill. Toastmasters helps people become better communicators and leaders! Learn skills related to speaking, presenting, listening and leading. 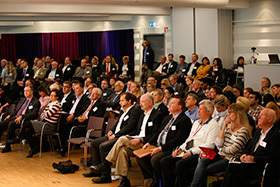 Aktiviteten arrangeras av Ideon Meeting, Ideon Innovation, Toastmasters International.